Be smart about the things you spend on and the products that you put on your face. Counterfeit items are no longer limited to designer bags and clothes. Unfortunately, illegal manufacturers also produce fake makeup being marketed as authentic and are put up for sale everywhere, including the Philippines. 1. Do your research. If you’re interested in getting a product, go to its official website and read everything about it: product description, dimensions, date of release, availability, scents, textures, packaging, reviews, and more. For example, Urban Decay only has seven types of Naked eyeshadow palettes—the original, Naked2, Naked3, Naked Basics, Naked2 Basics, Naked On The Run and Naked Smoky. 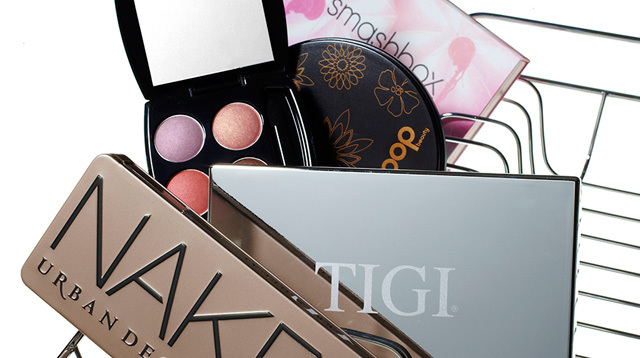 If you spot palettes like “Naked4” and so on, then it’s definitely not real. Take note of these little details—if they don’t match the actual product that you want to buy, then it’s probably fake. 2. There is no such thing as “Singapore/Hong Kong Authentic.” Same goes for “Class A” or “Class AAA” cosmetics. If you’re told that this is the type of makeup you’re purchasing, then you can bet that it is counterfeit. There are no gray areas—either they’re real or fake. 3. Look at the actual price of the products in the store. If you’re getting makeup from a brand that’s not in the Philippines, research how much it costs on its official website. Do the math and factor in shipping. If it’s super cheap or ridiculously overpriced, you might have to think twice. Use your common sense. If it’s too good to be true, then it probably is. 4. If you’re buying from a reseller, read the feedback. A lot of resellers on Instagram post feedback from their satisfied customers. Read what they have to say and start from there. Also, look at the photos that they use. Sometimes, resellers who use stock photos or steal photos from other sources can be sketchy. Read the captions first to make sure they’re not bogus. 5. Really think if you’re willing to risk buying makeup without knowing if it’s real or not. That’s the thing about buying makeup outside of its store, you’re never 100% sure if what you’re getting is real. There are sellers who dupe customers into thinking that they’re getting authentic products when they’re not. “The only way to be sure is if they go to our stores and get the products from there,” said Tasha Santos, Digital and PR Executive of Benefit Philippines. Benefit is one of the biggest high-end beauty brands that has fallen victim to counterfeit cosmetics. The Daily Mail wrote about a woman in London who got fooled into buying one of their powder foundations, only to have her skin suffer irritation. Yikes. 6. Touch, feel, and smell the products before buying them. “Sometimes they’re [producers] really good at copying the packaging,” says Vanessa Vergara, PR & AR Coordinator of MAC Philippines. MAC, a high-end makeup brand, is also one of the biggest victims of fake makeup. In the US, a 43-year-old woman was sentenced to 18 months in prison and owes the brand almost one million dollars after she was found guilty of selling fake makeup—and marketing them as authentic—in her cosmetics store and on Ebay. MAC lipsticks, eye shadows, and brushes are some of the most common fake cosmetics you can spot at bazaars or online. It’s been reported that fake makeup has been found to contain dangerous levels of lead, copper, mercury, cyanide—and this is really gross—rat poop. Authentic MAC lipsticks are sold at for at least P1,000 each depending on the kind. If you’re offered a “MAC lipstick” that costs way below or way above that price point, be wary. Look at the font of the logo and feel the texture of the tube. The biggest giveaway is usually the scent. Authentic MAC lipsticks have a slight vanilla smell. Fake ones smell like harsh chemicals. Here’s another tip: MAC ONLY sells brush sets for special collections. If you see “brush sets” that are branded as MAC, then those are not real. 7. Explore other options. If you can’t afford high-end makeup, it’s better to just get yourself good quality drugstore brands. There are A LOT of fantastic and affordable brands that carry products that can sometimes even match the quality of expensive ones. It’s just a matter of being smart. Remember, having “branded” makeup at the expense of your health is not worth it. If you really want an expensive product, save up for it and get it from the store itself. If you have to buy it online, only go for stores that are reputable and trusted. Be smart about the things you spend on and the products that you put on your face.